In July, twenty three pastors and district leaders from across the United States and Canada gathered on the campus of MidAmerica Nazarene University for Church Planting Training. Hosted by Kevin Borger, Assistant to the President for Church Relations at MNU, the training session offered three different tracks for attendees: Church Planting Essentials, Churches Planting Churches, and Becoming a Mentor. Trainers included a wide variety of leaders from the regional, district, and local level. Church Planting Essentials provides practical training for a pastor or launch team to enable them to use the vision God gives them in the early stages of church planting. The Churches Planting Churches track offers direction for the pastor of the established church on how they can sponsor a new local congregation. Becoming a Mentor is for district and local leaders who work with pastors of new churches. “This training couldn’t h ave come at a better time, as we plan to plant 30 new churches on our district,” said Steve Ottley, Associate District Superintendent of Canada Central and Canada Quebec disctricts. Abbey Cole of Lincoln, NE, commented, “We came to the training with a vision, but no clear plan of how it would happen. We have walked away with a clear plan and detailed steps of how to make this vision a reality now.” Many made plans to start new training events in their own districts, such as Missouri District Superintendent Mike Palmer, who has planned a training for his district pastors this fall. The School of Christian Ministry and Formation at MNU is also exploring ways to connect their coursework with church planting training. 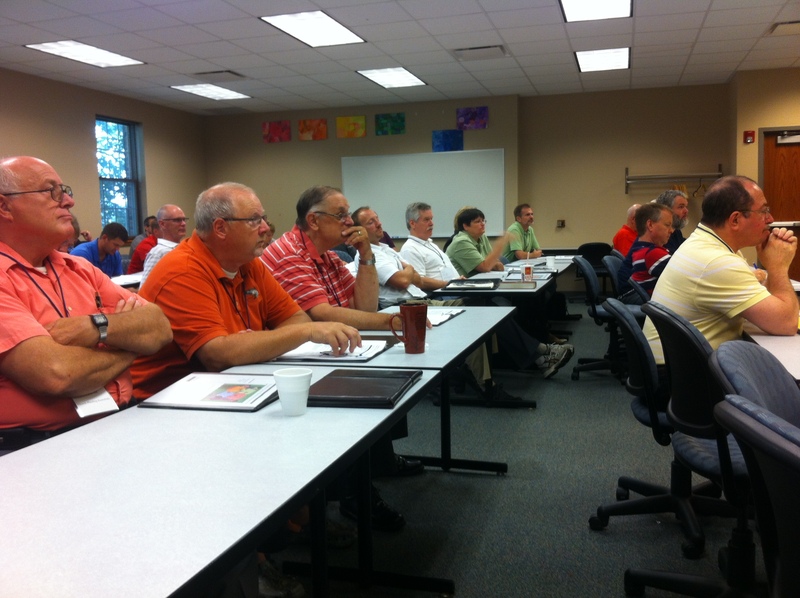 In August, Mount Vernon Nazarene University hosted their own training event for pastors and leaders across the educational zone. Twenty seven attended this event, coming from Ohio, Maryland and North Carolina. The Church Planting Essentials and Churches Planting Churches tracks were offered, along with an optional Certified Traininer training. Fifteen of these pastors became certified trainers and have already began planning training events on their home districts. Steve Suttles, a local church pastor who also serves as the South Central Ohio District New Church Coordinator and the MVNU Regional New Church Coordinator, became a Master Trainer at this event.